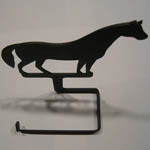 Desc: Wrought Iron Horse bathroom tissue holder. 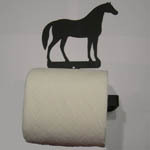 The bathroom tissue holder has a matte finish and is dark brown. 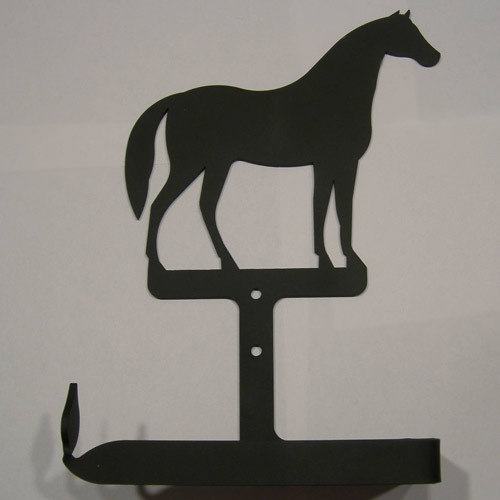 The horse stands above the holder and has head high and proud.